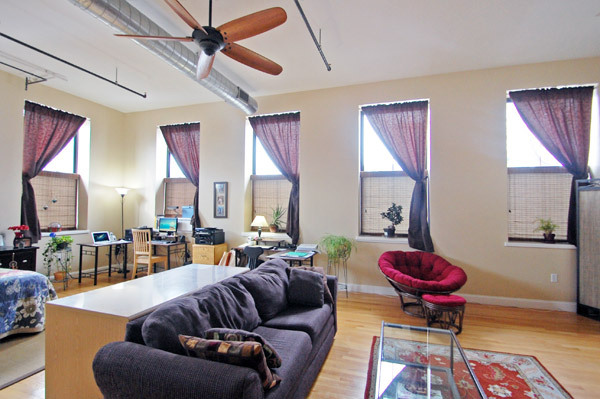 Incredible opportunity to buy a Boston loft for under 240K! Just under 1000 Square Feet, this sunny & welcoming corner loft at the historic Keen Lofts building boasts high ceilings, an open floor plan, corner placement with 2 walls of windows, pendant & recessed lighting, walk-in closet, bright bathroom, incredibly sunny southwestern exposure, gleaming hardwood floors, galley kitchen with breakfast bar, exposed ductwork, forced hot air & central AC, and all within a beautiful Tudor Style schoolhouse renovated in 2008. Well-managed, artist-centric association with professionally landscaped grounds - Parking Space included! 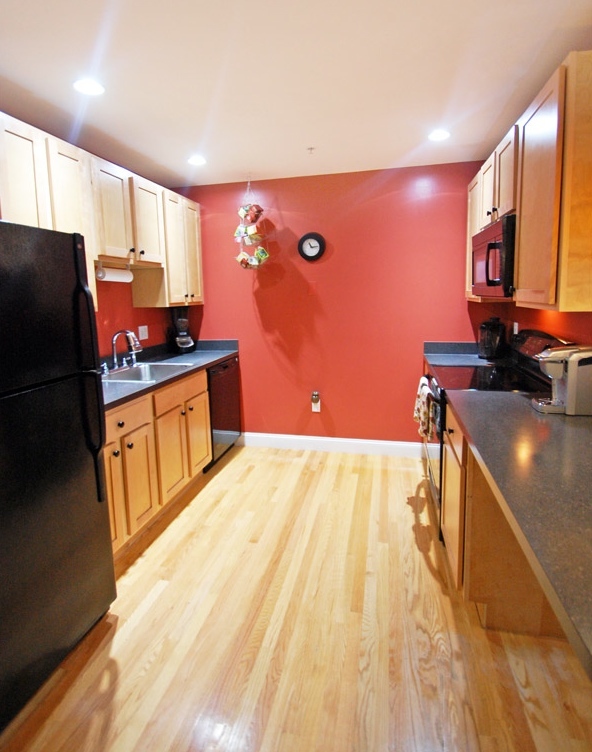 Come home to Chelsea's burgeoning Loft District! 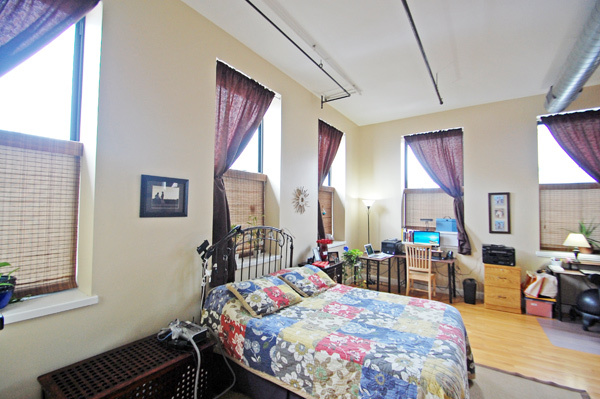 Bright & Modern this is the ultimate in Boston Lofts Living. Bedroom - Open to the Loft!